Nice fork. Glad parts with v-brake mounts still exist to update older bikes. Was a great solution to keep my wife riding our own Schwinn Homegrown while the OE RS SID is out for rebuild. Huge improvement on my well ridden mountain bike, Lockout and Rebound work perfectly. Huge improvement on my well ridden MTB. 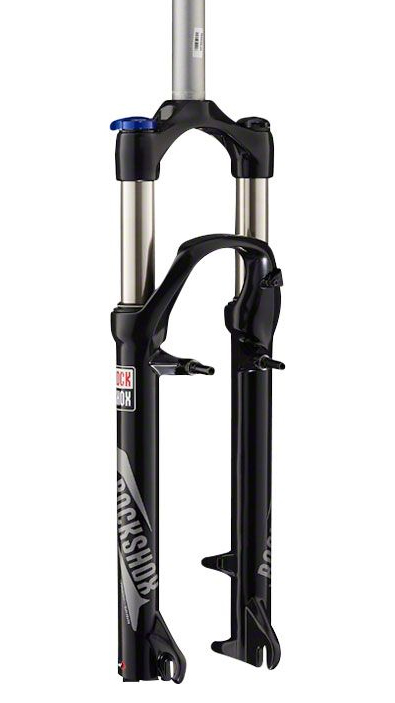 Lockout and Rebound work perfectly, RockShox Rules! Great price on this product. 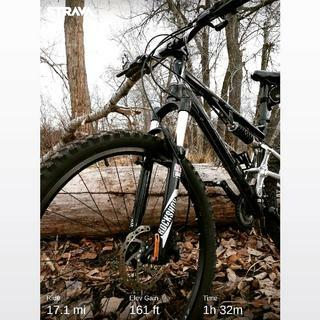 great communications with tracked delivery, bike rides so much better with these forks. Would these fit a 90’s GT Ricochet? BEST ANSWER: I'm not familiar with that bike specifically, but there are basically two types of steer tubes. You either have straight, or tapered. The straight is what this is, and is more common on older bicycles. Unless you have some sort of one off custom build, yes this fork fits your bike. If your bike is 2009 or newer (some high models maybe 2006 and newer) then no, it won't fit. If the front tube of your bike frame is (roughly) the same size on top and on bottom of the steering tube than it will fit. Taper forks are obviously different. The bottom is almost 2x larger than the top in diameter (where the fork enters the frame). Also, your brake configuration should work just fine since this has cantilever posts as well as disk caliper mounts. I installed mine on a 90's Rocky Mountain hardtail. As long as the steerer tube is same dimensions..... I did find they were about an inch longer that the forks I replaced, but no problems. All depends on the size of the steerer it will accept. I used this on my old Gary Fisher Sugar - 1 1/8th steerer.